Provocative apparel » Find Essay - Free narrative papers, essays, and research papers. I believe that it is. Consider the following example: if you are sitting on a bench in a public place and you see somebody who comes with old vomit (non-smelling) and other forms of dirt on their clothes, even if that person doesn't smell bad or is sitting near you, most people will still feel uncomfortable in the presence of that person. There may be several reasons for this, you may think that the person is dirty (which he is) and due to the lack of hygiene may be carrying some diseases, you may think that the person is mentally unstable (because he does not care about his appearance) and thus prone to risky and threatening behavior, or that the person is poor and probably alcoholic and will come to bother with stories or petitions for money (most people will openly deny that they react like this but for the proof go check out a local park or railway station). None of these may be true. Indeed, it is just as likely that it is a student coming back from a party. Nevertheless, that person either does not have the choice or the politeness to keep people from feeling uncomfortable in his presence. One may argue that such a response is not the most appropriate, but it is the most common. Wearing provocative apparel is not just a matter of personal liberty, since it negatively influences other people and infringes on their liberties as well. If you want to prove this theory you will require persuasive arguments. 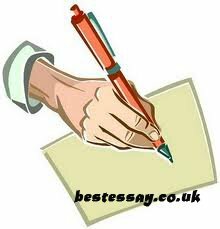 Professional paper writers will have them prepared for you in qualitative custom essays. Such research papers will help you defend your viewpoint using scientific approach.